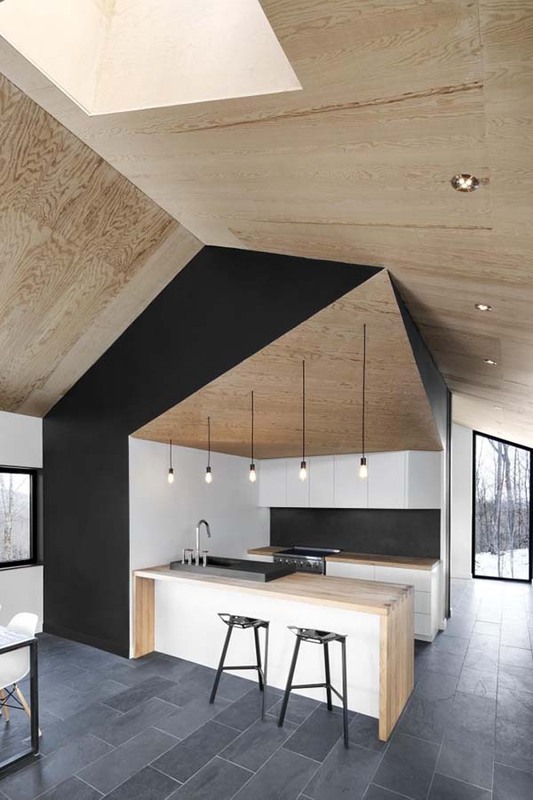 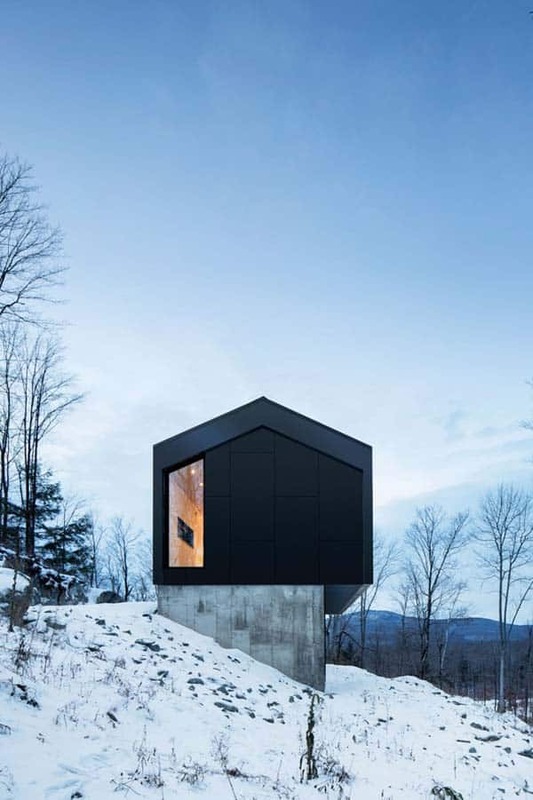 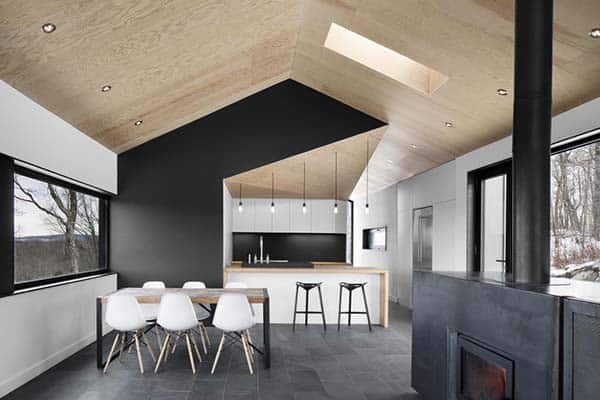 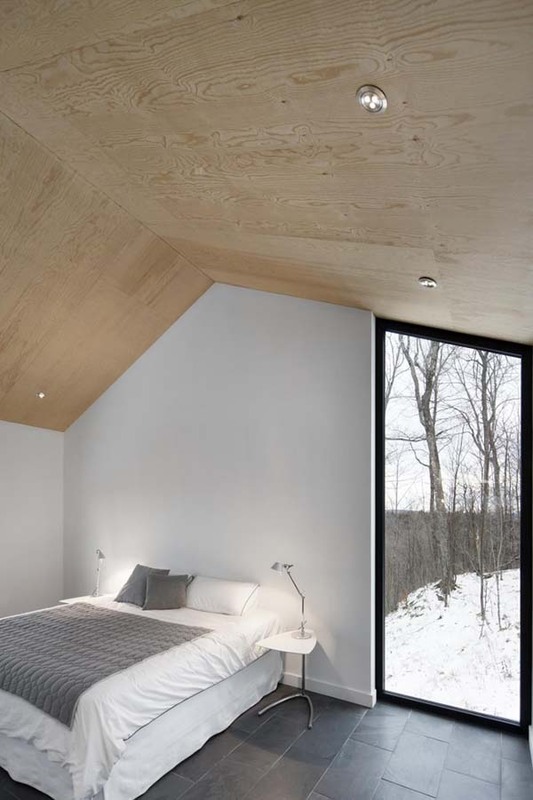 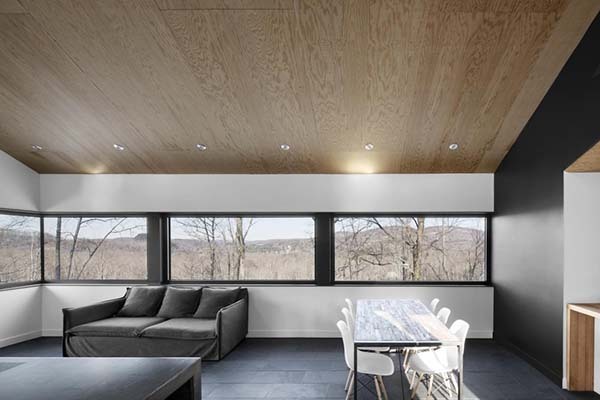 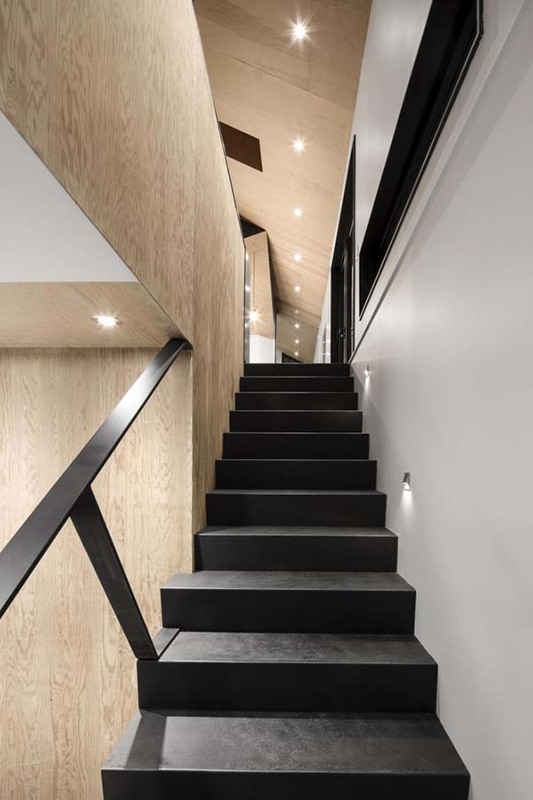 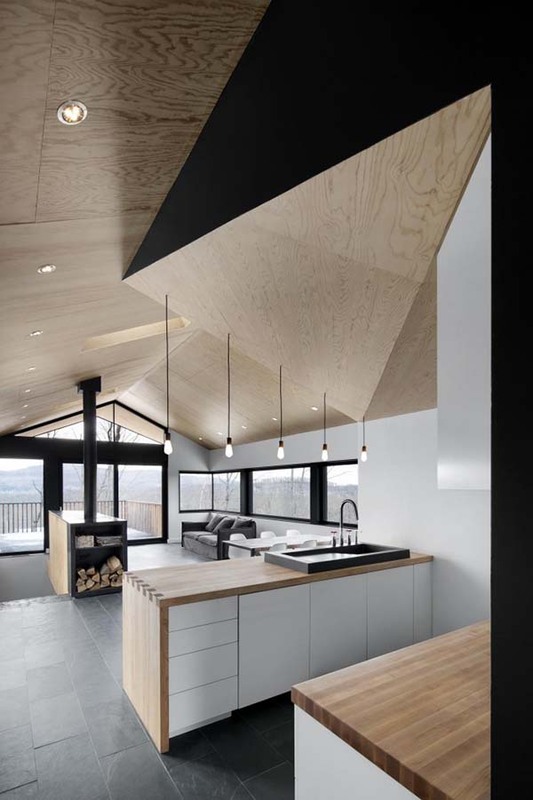 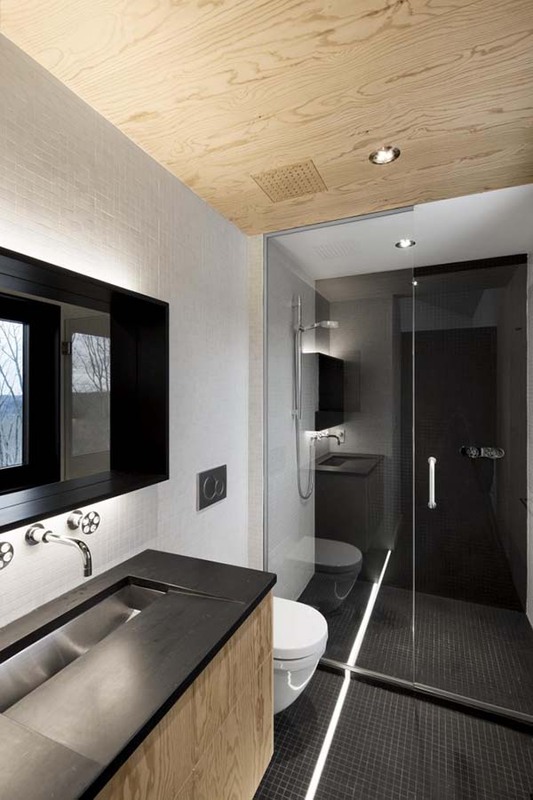 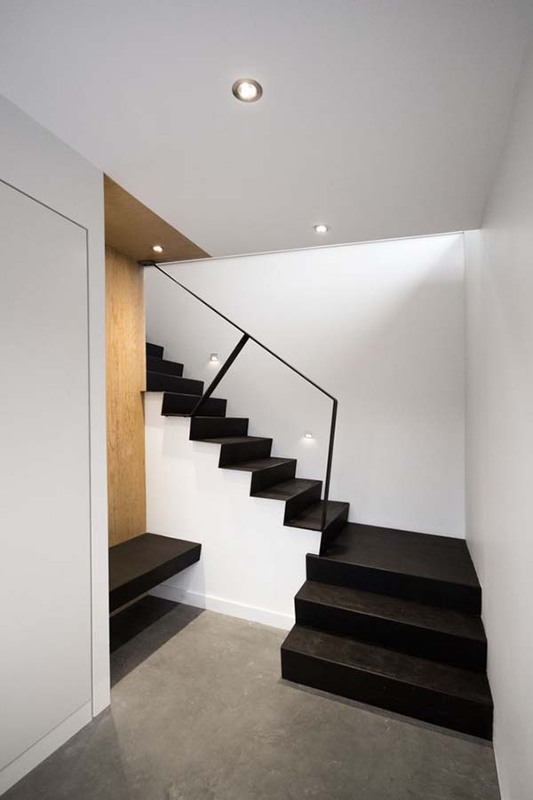 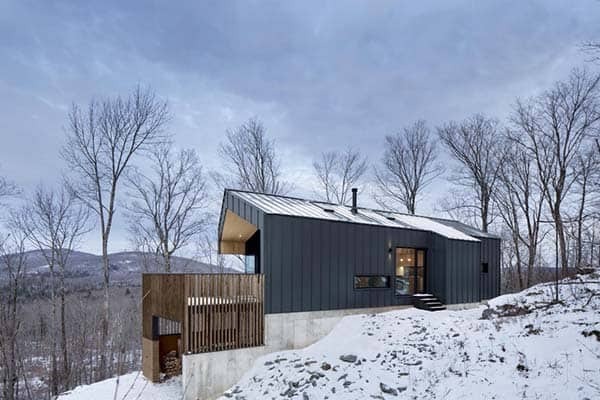 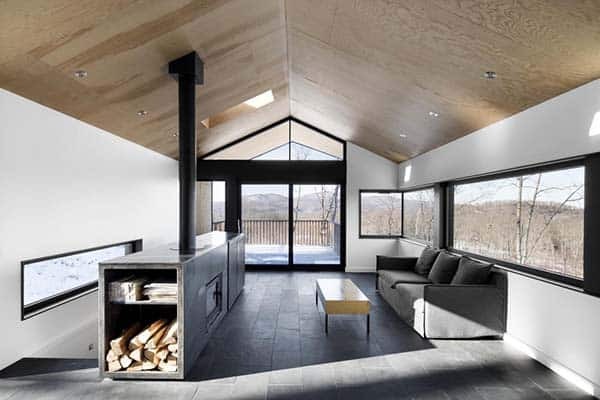 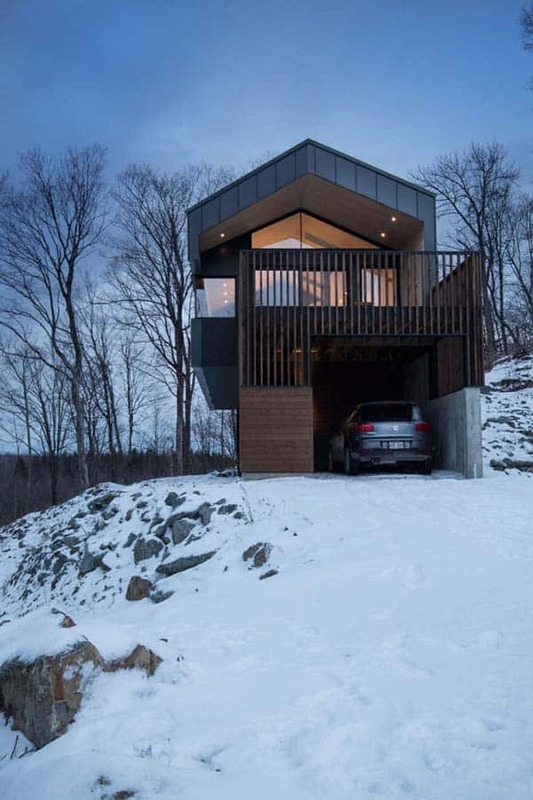 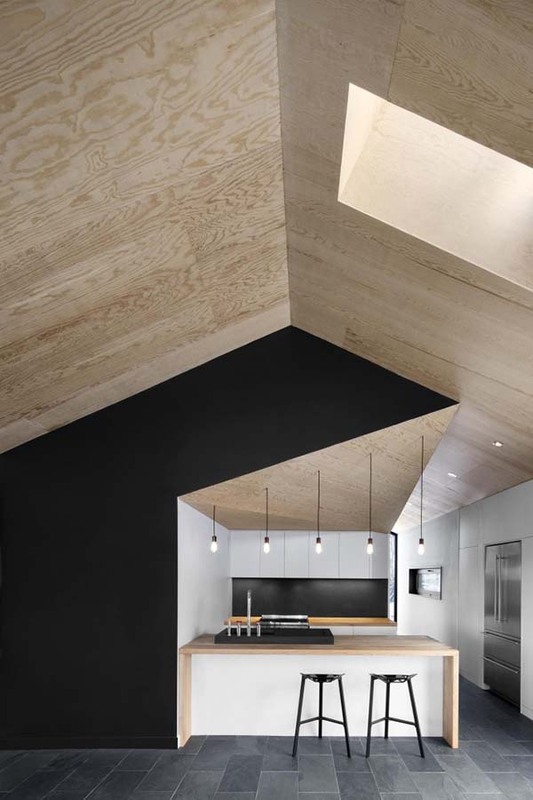 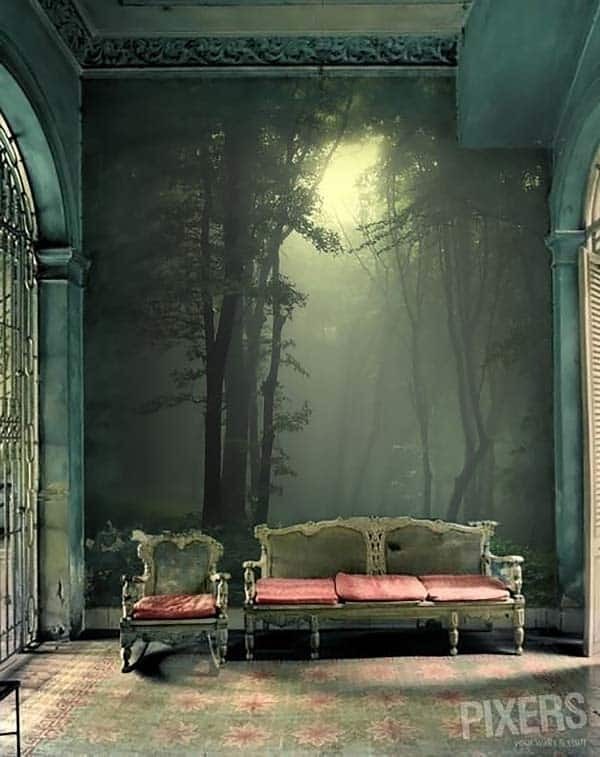 Bolton Residence is a beautiful single family country house that has been designed by architecture studio NatureHumaine, located in Bolton East, Quebec, Canada. 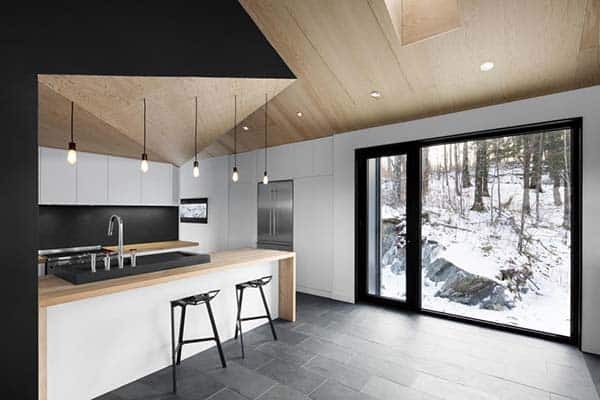 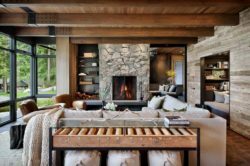 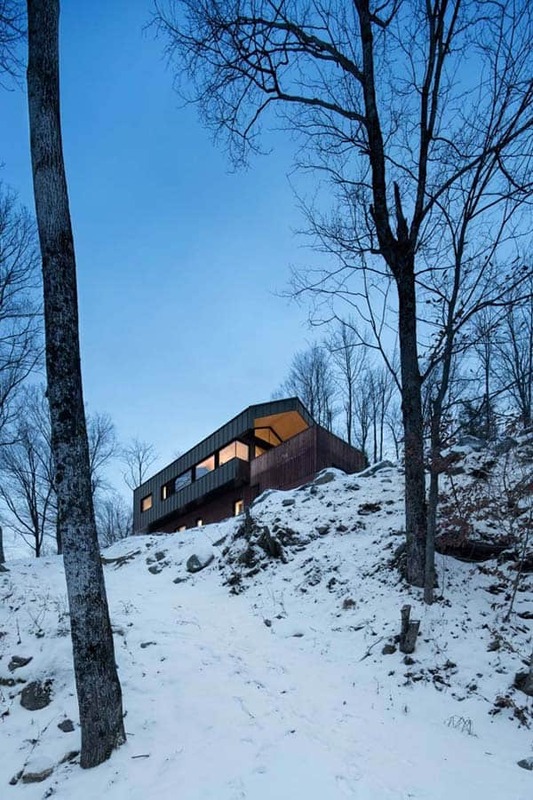 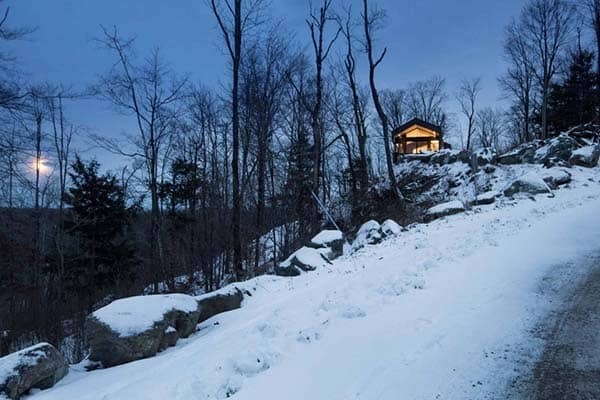 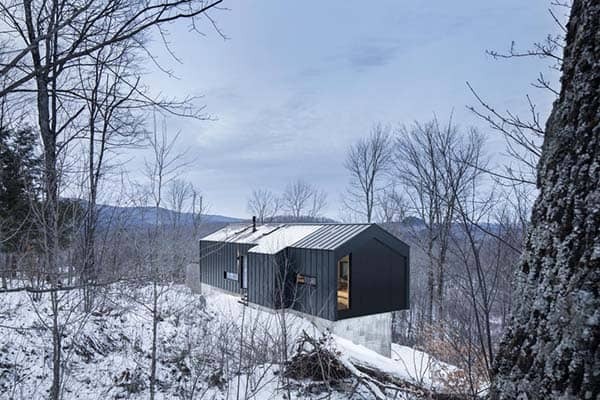 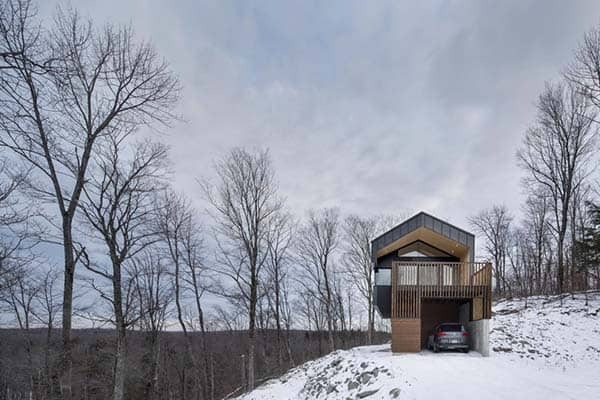 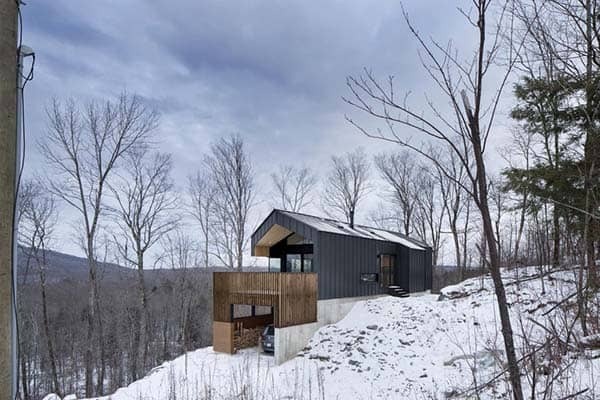 Having bought a beautiful plot of wooded land in Quebec’s Eastern Townships, the client dreamt of building a 1,740 square foot country house that would be in perfect symbiosis with its natural environment. 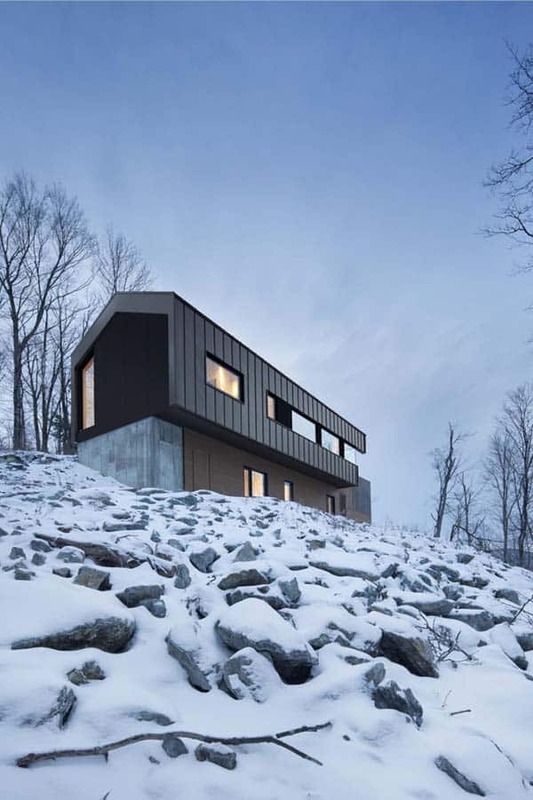 From the architects: This rugged, sloped site came to a natural plateau just below its highest point, becoming the perfect location to erect the house. 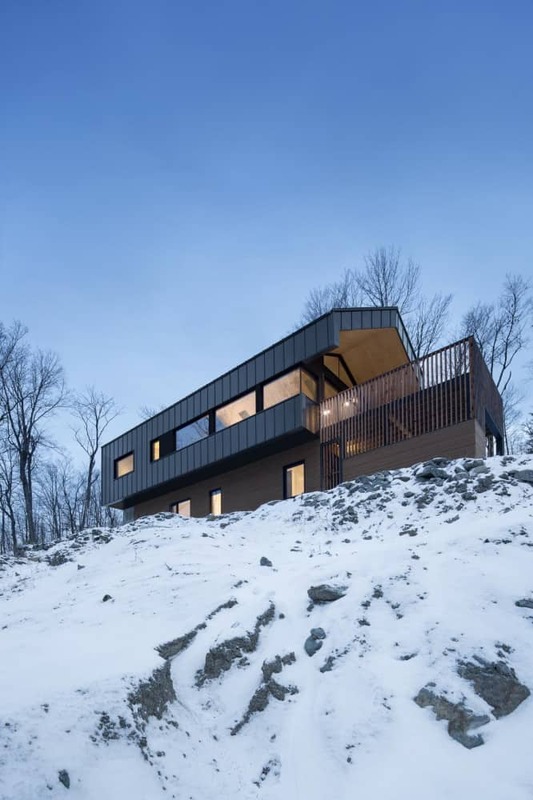 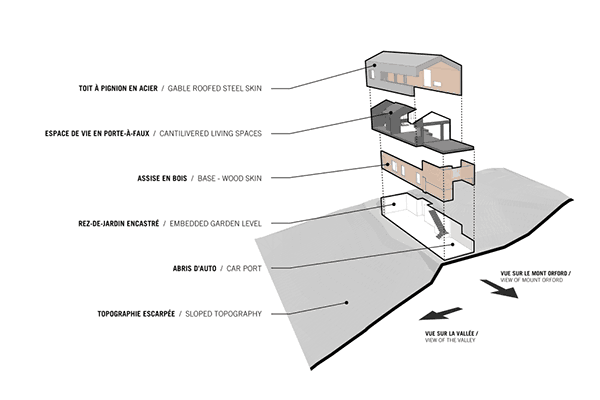 The house is characterized by two stacked volumes; a wooden clad volume anchored into the mountain supports a cantilevering ground floor volume above. 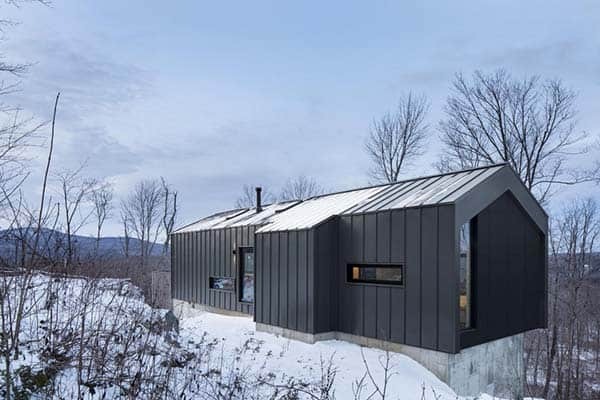 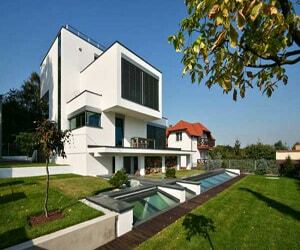 This gable roofed volume raised into the air gives the sensation that the house is floating amongst the trees. 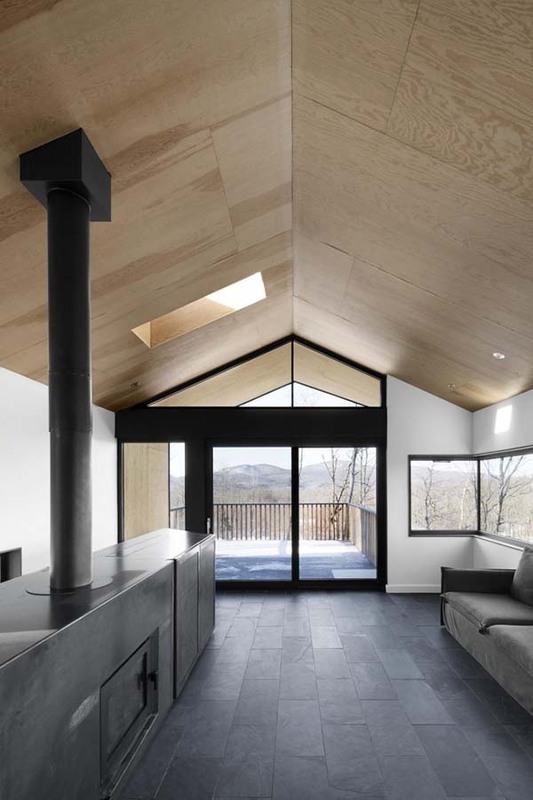 Vast views of Mount Orford and the valley below are framed by a long horizontal strip window. 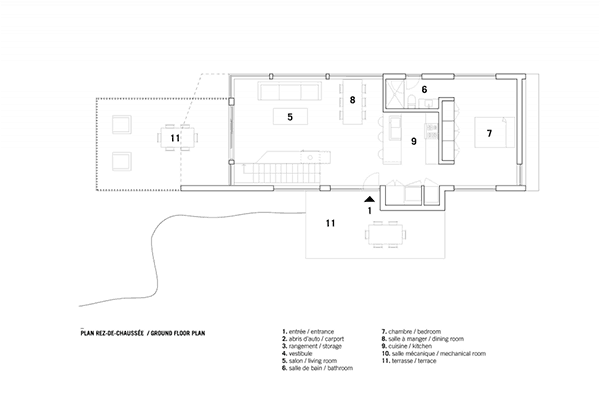 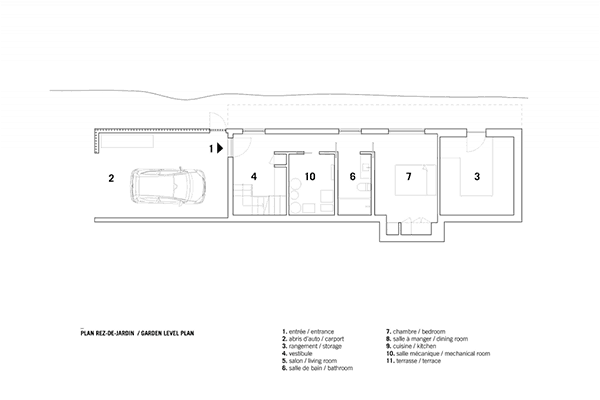 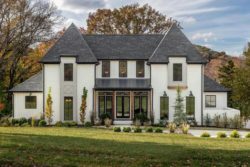 The kitchen and master bathroom are carved out of a black volume at the center of the house dividing living spaces from the master bedroom.